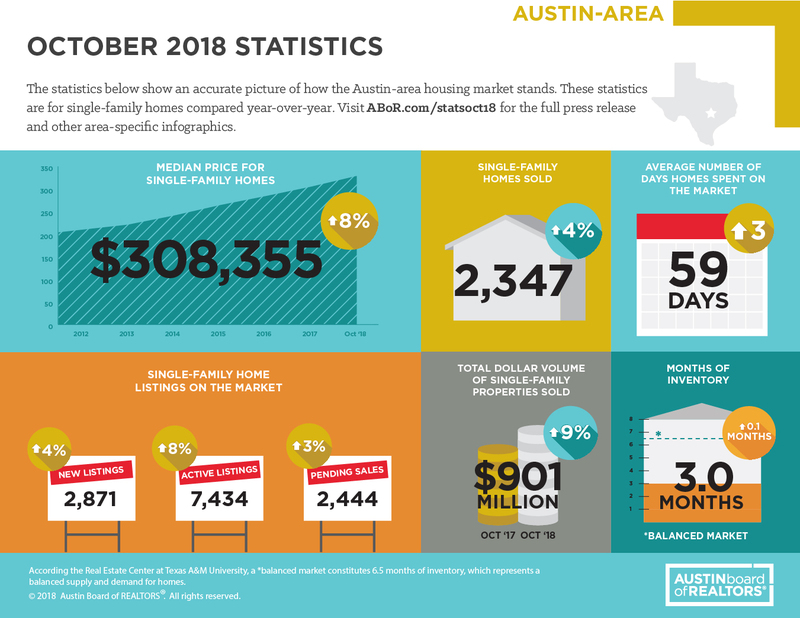 The Austin Board of Realtors has released the stats for October 2018! Thinking about moving to Austin? The Austin-area housing market is performing strong even during the slow season. The numbers don’t lie!